The Pass Plus Course is a popular option for new drivers who want to solidify their skills and lower their insurance premiums at the same time. A nationwide scheme, the Pass Plus Course is designed to better equip new drivers to deal with a range of driving manoeuvers and situations that regularly cause accidents among inexperienced drivers. Since the course in nationally recognised, many UK automobile insurers offer discounts on insurance premiums to new drivers who takePass-Plus-Course the course. Plus, numerous local governments support the program, as a means of incentivising safer driving. To that end, they may pay for up to 50 percent of your course fees. Given the substantial financial incentives, it’s no surprise that many new drivers choose to take the extra lessons after completing their beginner course. The Pass Plus lessons take at least six hours and cover a range of themes that regularly challenge beginner drivers. You’ll get in-depth instruction in dual carriageways, motorway driving, rural roads, city driving, foul weather driving, and night-time driving. For the conscientious beginner or for the concerned parents of a young driver, the Pass Plus can give an extra degree of confidence on the road – from the very beginning. The Pass Plus Course at always Driving is a popular option for new drivers of all ages, especially since up to 50 percent of the tuition is regularly covered by public subsidies. Plus, most insurers lower their premiums for Pass Plus graduates. If you consider the considerable expense and hassle of even a minor accident, a safety-oriented course like Pass Plus proves itself as a wise choice for many, for economics and safety. The always Driving Pass Plus comprehensively covers all the themes of the nationally standardized programme and offers the same individualised instruction you can expect from any always Driving course. 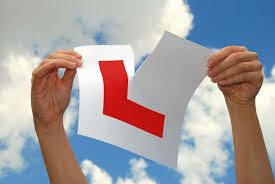 In essence, whatever you require to feel better and safer on the road, there’s a course available to suit your needs. The key to excellent driving instruction is seasoned, attentive instructors, who can tailor their lessons to the individual student. To that end, always Driving features a wide range of lesson formats. If you still don’t know which type of course would most benefit you, the best way to find out is to have a conversation with an expert, who can guide you in crafting a suitable plan for your own driver education.